Hi, friends! 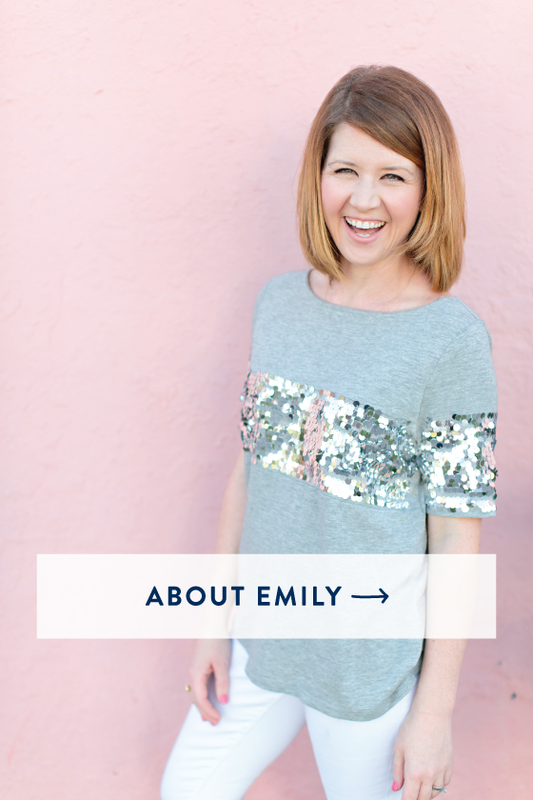 We’re so excited to announce a brand new series we are launching on the blog this fall! 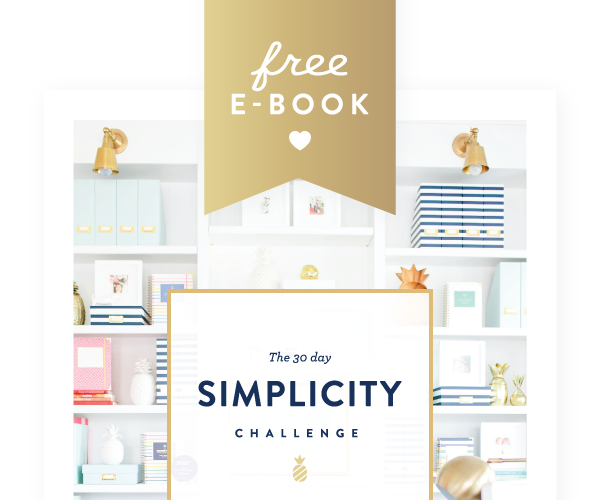 We want to help you get the most out of your Simplified Planner experience, so we decided to create a series here on the blog that’s dedicated to helping you do just that! 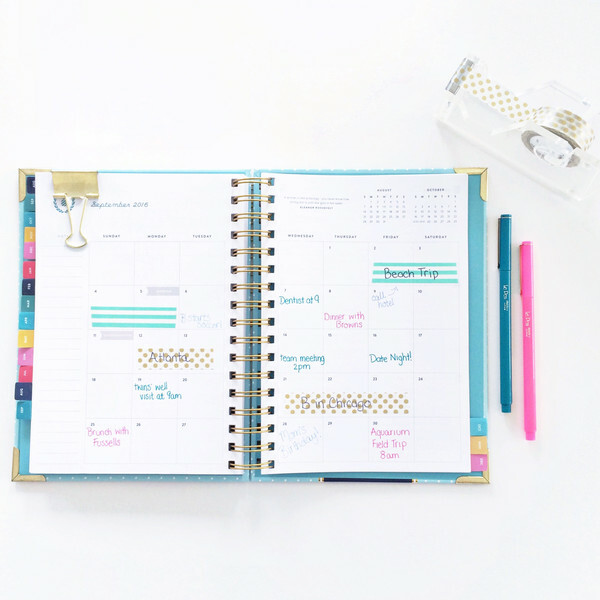 Inside My Simplified Planner is a new blog series where we’ll be featuring some of our absolute favorite planner pros to share their BEST tips and tricks for organizing and using their planner. 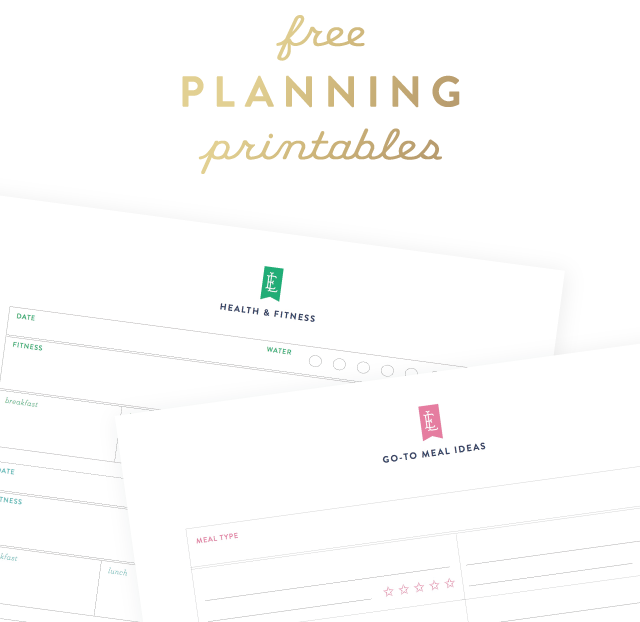 We hope that using these organizational tools alongside your Simplified Planner will help inspire you to make purposeful plans and intentional choices in your every day life, allowing you to leave room for what truly matters most. 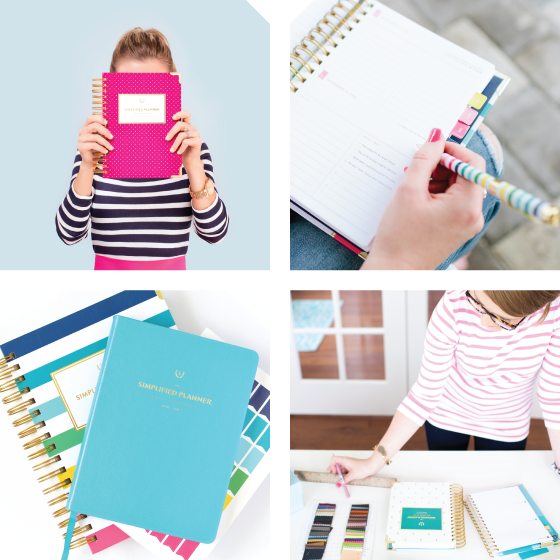 You can also join in on the fun by posting photos of your planner using the hashtag: #InsideMySP. 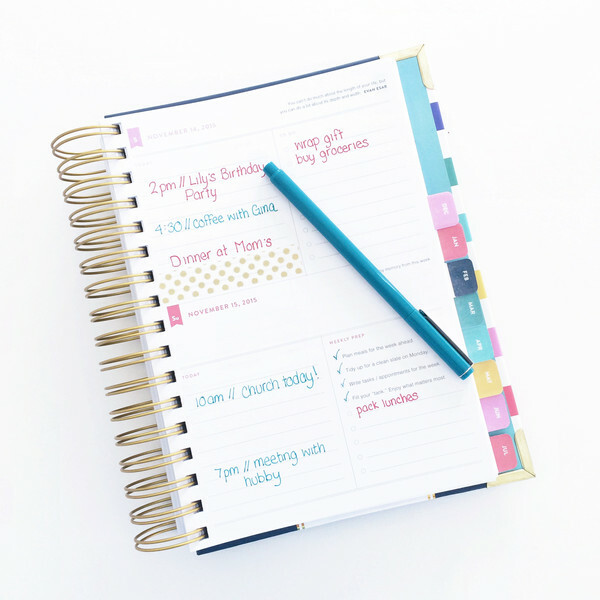 We love to see how you are using your planner to make this crazy life happen! Tell us a bit about how you organize your Simplified Planner. When I first get a new planner there are several things that I do to set it up before the new planner year begins. The first thing I do is go through and add all important dates including birthdays, anniversaries, special events, scheduled appointments, school events, and anything else that needs to be recorded. I use colorful stickers to highlight these special dates. I also add reminders of yearly appointments that need to be scheduled and write a note to schedule them based on my appointment from the previous year (for example, I always have my yearly eye appointment every September, but they don’t schedule a year in advance, so I always write a note to schedule my appointment at least 4 months in advance.) I also write notes of yearly home maintenance appointments that need to be scheduled (AC/Furnace tune-ups every spring and fall, etc.) Along with scheduling seasonal home maintenance, I make notes about seasonal home keeping tasks that need to be completed but aren’t done on a regular basis, like cleaning off the outdoor furniture in April, when our neighborhood’s big item pickup is, and outdoor window cleaning. Next, I go through and add in reminders to schedule seasonal activities and events (i.e. : trips to the pumpkin patch! Breakfast with Santa!). We always have good intentions to do these activities but unless we actually make a plan and schedule them in, there is a good chance they won’t happen. Each month, I review all the activities that are already scheduled, add any events or dates, and schedule family outings. I like to add what I call “Goals with Grace” to the notes section on the side of my planner. “Goals with Grace” are small, simple goals (no more than 5) that I would like to accomplish each month. 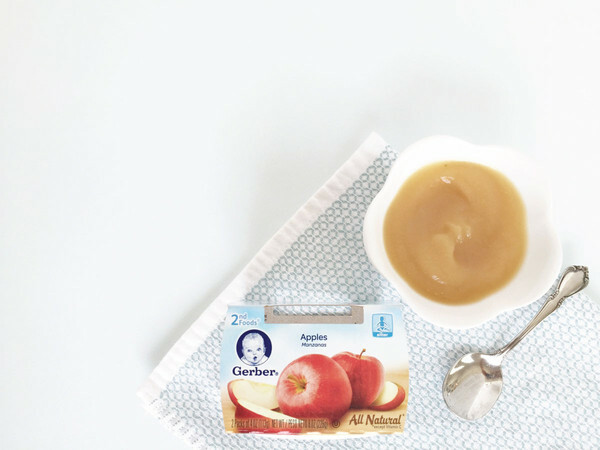 In this season of motherhood, (three under 4, including a 7 month old!) I give myself grace because there are some months where they just won’t happen and I’m OK with that. 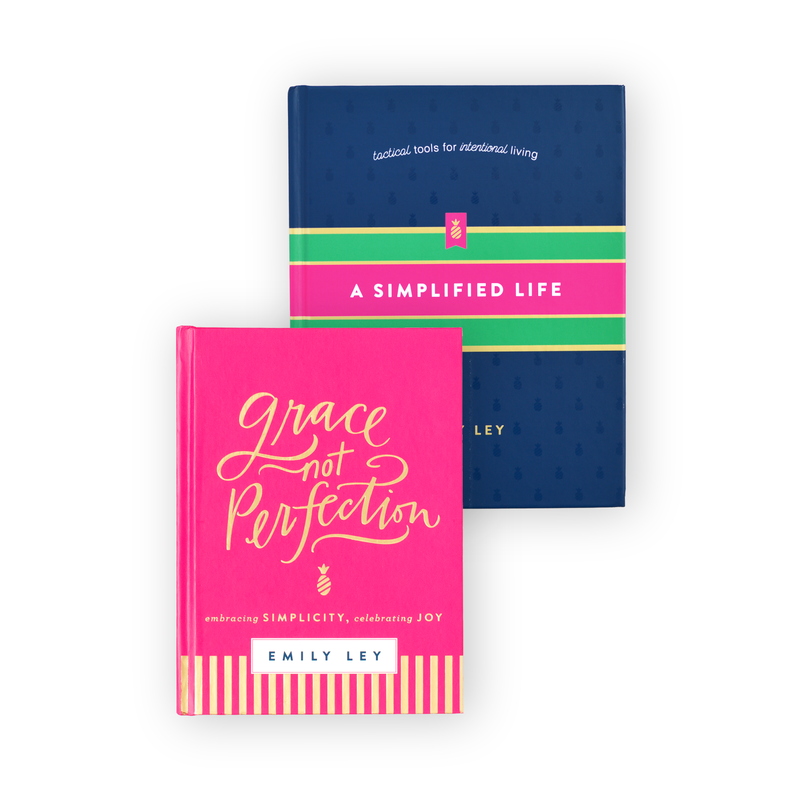 I follow Emily’s advice of seeking a standard of grace not perfection! I also use the “Notes” section to write down any appointments that I need to schedule, or events in the next month or so that I need to start thinking about or planning. Every weekend, my husband and I sit down to review our calendars and write in important events from each other that need to be included on our own calendars (like my husband’s work events or plans he has scheduled). This helps us to make sure we are on the same page when it comes to planning our week ahead. I also record any appointments, events or notes on the corresponding daily pages, review our meal plan for the coming week, and write out a simple weekly to-do list. I review my day’s scheduled activities. I also write a very realistic to-do list which includes no more than 5 items. I try very hard to keep it at 5 because I am really good at overestimating how much time I actually have! I also like to separate the to-do items into a home and work section by using two different colored pens. 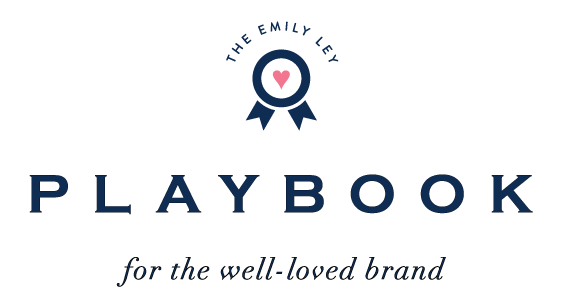 For me, having an organized planner and taking the time each year, month, week, and day to make a plan helps me to be as intentional as possible with my time. As a busy wife, mom and entrepreneur/writer, it’s important that I am using my time as efficiently as possible. I also follow a grace based approach. Some weeks, no matter how well I plan, my to-do list just won’t get finished because my kids or husband need my focus or energy. In this season, those roles are more important to me, so I may have to let other things go. I never let my to-do list dictate my day; rather, I use it as a loose guide that is flexible. Papermate InkJoy Pens– Victoria’s #1 planner accessory! Decorative Clips– link to some of our favorites! Canvas Pouch– we love this one!